All of our classrooms have an Interactive white board to enhance learning. 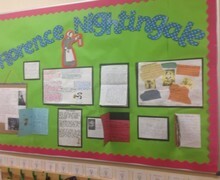 There are spaces for rich displays to support and showcase children’s work. We encourage our children to be independent from an early age, all classrooms are equipped with high quality resources to enable independence and promote learning. All classrooms have a vibrant reading corner for our children to enjoy books. 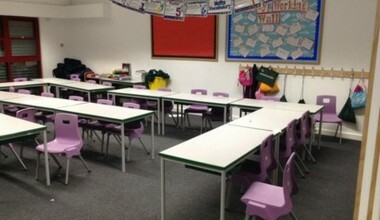 We also have additional spaces for small group work, interventions or independent project work. 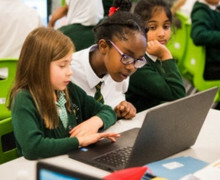 We are committed to equipping our children for 21st century life through experiencing, interacting with and using technology to enhance their learning and life skills. Both campus have serval whole class iPad and laptop trolleys that can be used for whole class or small group learning. 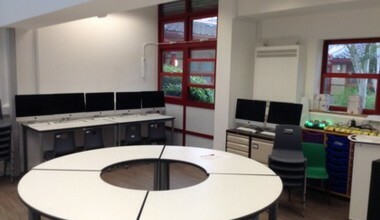 We have a fully equipped Technology suite with the latest iMacs and other fun to use technology such as Beebots. Each campus has a dedicated, adult only Continuous Professional Development (CPD) zone. This is a space for professional dialogue and creative working. Available here are numerous desks with PCs, shared working spaces and bookshelves filled with resources and latest research to support staff development. Our Creative zone is a space where children are immersed in Art and Design. It is fully equipped with mixed media resources. We have an energetic and innovative Sports Department at Claycots. 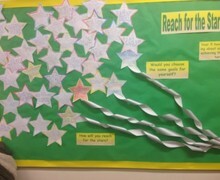 Each member has a sports specialism including Outdoor Education, Gymnastics and Dance. We participate in competitive and non-competitive events in our local area, as well as a full program of House competitions, including Tchouk ball and athletics. We have indoor and outdoor spaces for sports and boast an outdoor gym and all-weather MUGA. Both campuses have well stocked libraries and the children have weekly library slots to deepen their love for reading. 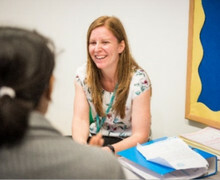 Our library manager and assistants are always available to support with choosing books or locating super resources.